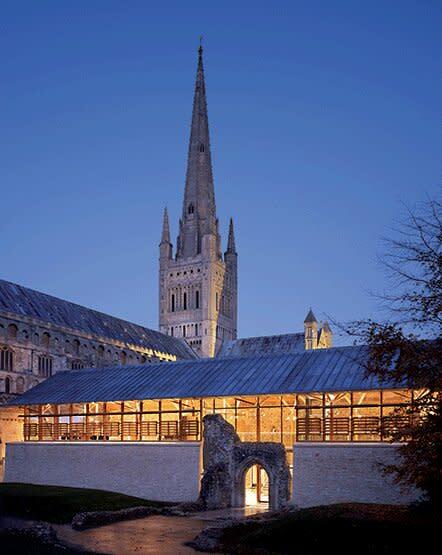 Built on the site of the original pilgrims' guest hall, The Hostry completes our new accommodation at Norwich Cathedral, complementing the Refectory, and re-animating the medieval cloister as the heart of the cathedral precinct. 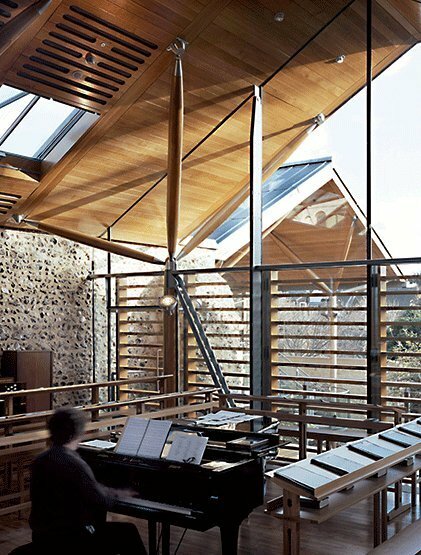 The Hostry has a unique brief in that, in addition to exhibition spaces and an education room, the building also houses the Cathedral's Song School and choir rehearsal spaces. 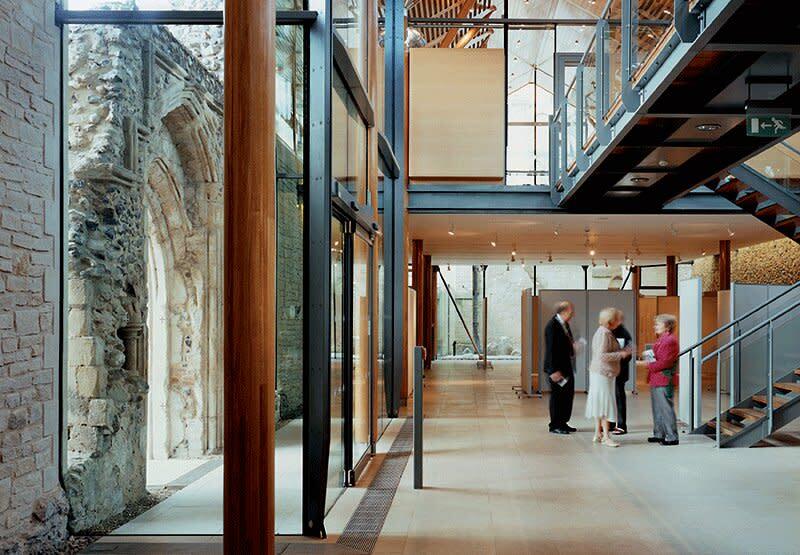 It provides a large community room, which can bring together those who live and work in the Cathedral Close, as well as offering conference facilities for external groups. 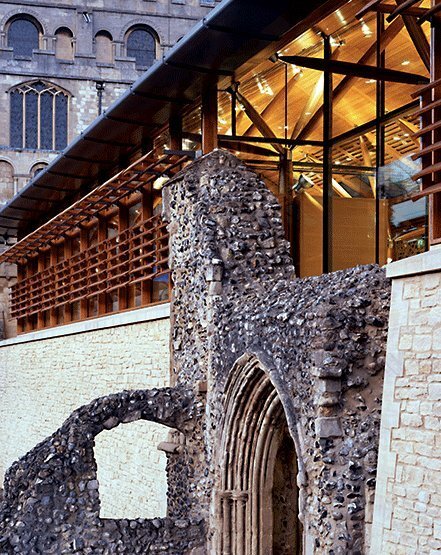 The brief for both projects was to create buildings of such architectural merit that they would enhance and respect the cathedral complex, increase visitor access across the precinct and resolve disabled access, all in a manner sensitive to existing and theoretical archaeological remains present on both sites. 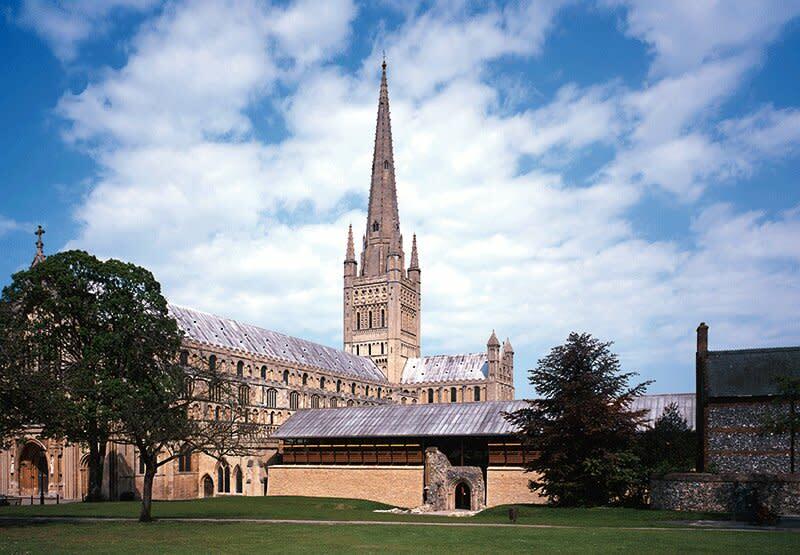 Our work at Norwich has been about acknowledging the sacred and special nature of the surroundings, while creating contemporary buildings with their own integrity. 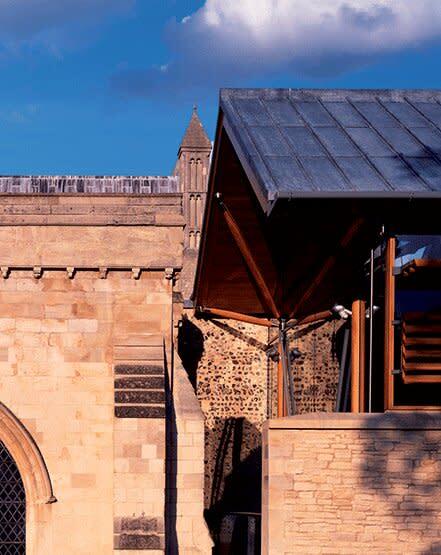 With minimal alterations to the medieval fabric, we have managed to build two new structures, which replicate the location, function and form of their historic partners and in this way the new buildings enable a greater understanding of the Cathedral's historical organisation. A bold modern architecture has emerged from the most sympathetic attitude to building these structures in such an intimate relationship with the historic ones. As well as focusing on a palette of largely traditional materials, the design uses existing walls wherever possible, minimising cost and the impact of the new volumes on the cathedral complex. 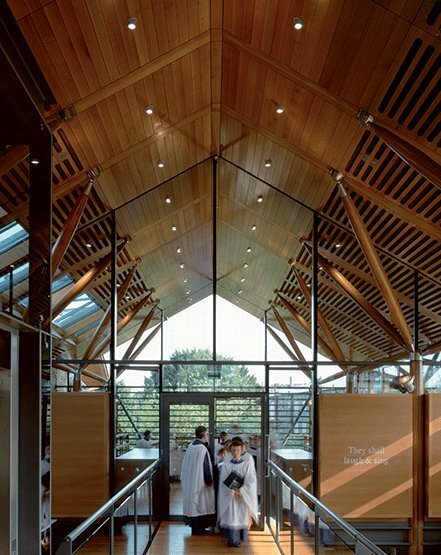 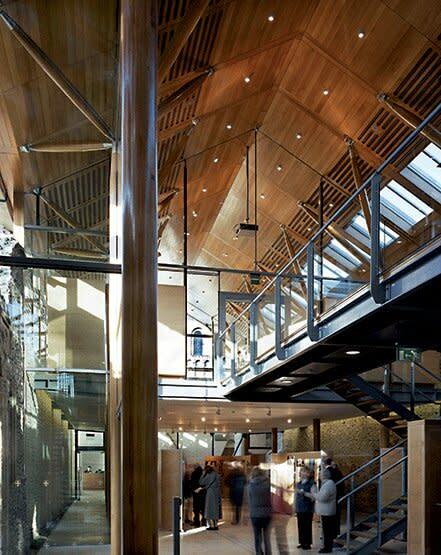 Environmentally sustainable measures have been taken in the use of natural ventilation, insulation and underfloor heating, all of which have improved the energy efficiency of the new structures, thus the old has been reinvigorated by the new, to create buildings that will continue to stand the test of time.